As people in the United States and around the world celebrate Easter, today the man who has become legendary for his predictions on QE, historic moves in currencies, warned King World News that the world is now entering the most dangerous and terrifying period in over 70 years. Egon von Greyerz: “How can ordinary people ever understand the importance of gold when they are continuously fed with false and distorted facts. The latest publication to publish false and ignorant propaganda on gold is the British weekly magazine the Economist. The article begins with a graph of gold starting in September 2011. Anyone who knows anything about gold recognizes that this is the time when gold reached a peak of $1,930. Between 1999 and 2011, gold had gone from $250 to $1,930, which is an increase of almost 700%. During the same period, the Dow was virtually unchanged and the UK index, the FTSE 100 was down 3%. So while gold was up 8-times during those 11 years, stock markets were static, but the journalist did not mention this. Instead, he starts the graph at the very top of gold after an 8 year rally. Yet again, the author picks a point in time that is totally misrepresentative. For anyone who knows anything about gold, 1980 was a peak after a run from $35 per ounce in 1971 to $850 in 1980. The fact that gold had gone up 25x between 1971 and 1980 was of course not mentioned by this ignorant writer. Instead he starts from the peak in order to spread his false propaganda. I am not sure if it is a coincidence that the Rothschild family is a major shareholder in the Economist. 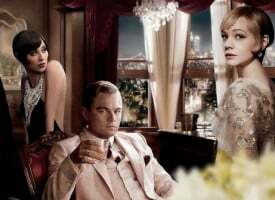 What the author cannot grasp is that for the very small minority of people who understand the significance of gold, it is not a question of being gloomy. No, if you understand history and economics, you also understand that gold is the only money that has survived in history. 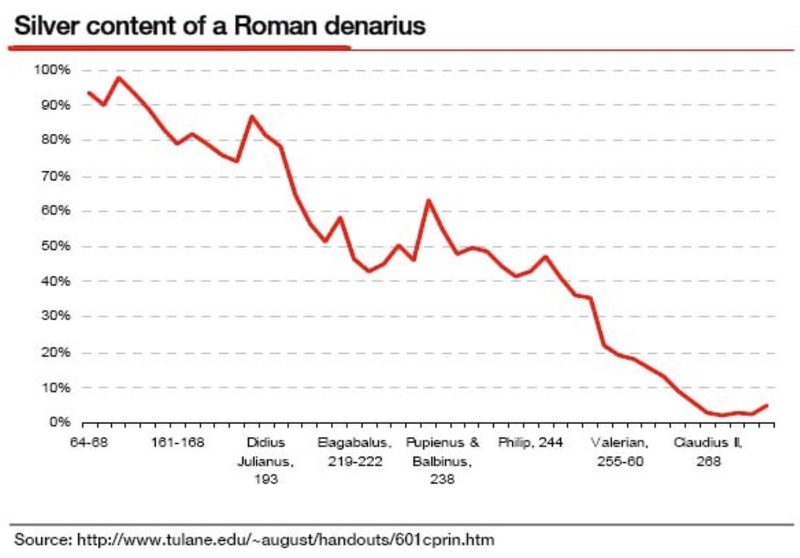 Since fiat money began, whether it was metal coins or paper money, governments have consistently destroyed its value by either diluting the silver in the coin from 100% to 0%, as with the Roman Denarius in 180 to 280 AD (see below). Or they have extended credit and printed money without any economic accomplishment in return. If you make a loan or print money without a compensating delivery of a service or goods, that money is by definition worthless. And this is exactly what governments are doing whenever they are under pressure. In the last few decades, more than two quadrillions of dollars of debt, unfunded liabilities and derivatives have been created out of thin air. Before this bubble period is over, those quadrillions of debts and liabilities will vanish in the air. And so will all the assets that were backed by this debt. The world is now entering the most dangerous period since the end of WWII. The sound of war drums is now becoming too loud to feel comfortable about the future. President Trump’s declared policy, until the last week, was not to interfere in other countries politics. Since then the US has bombed Syria and Afghanistan and is continuing to bomb Iraq. All of these bombs are killing many more civilians than Syria allegedly killed a few days ago. The bomb in Afghanistan is the biggest non-nuclear bomb ever dropped. North Korea is continuing with its nuclear bomb testing and the US is sending warships to the area and also threatening to strike. The conflict between China and the US regarding the islands in the South China Sea can easily escalate. Russia has not attacked any country outside its own territory for a very long time. But Russia is now feeling threatened from many different directions. With US nuclear missiles directed towards Russia from both Eastern Europe and Turkey, the Russian bear now feels threatened. In Syria, Russia has been invited to assist in the fight against ISIS. Russia is unlikely to withdraw, and if the US continues to bomb Syria, the outcome could be fatal. In addition, the whole of the Middle East is a time bomb. Saudi Arabia, for example, could be destabilized at any time. 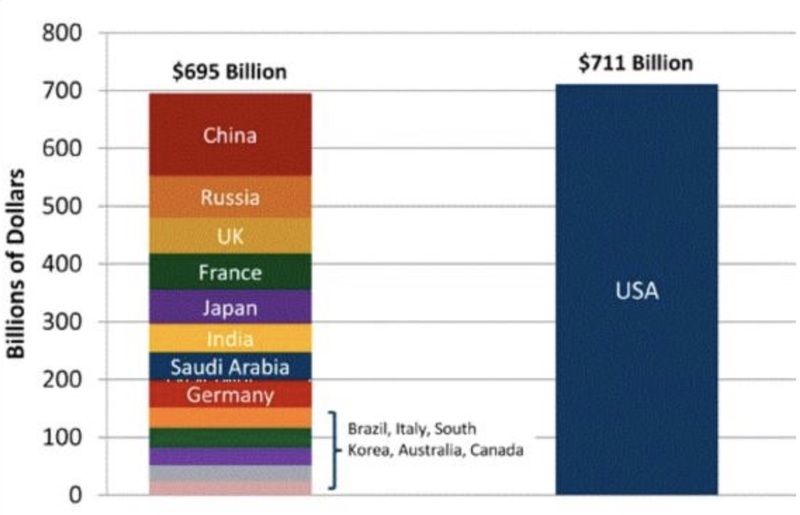 Looking at military spending, the US is as big as the rest of the world. But we have seen in Vietnam, Afghanistan, Iraq and Libya, is that the U.S., with all its fire power, could not win any of those conflicts against powers with a fraction of its military resources. Nuclear bombs would of course be decisive, but Russia also has enough nuclear missiles to destroy most of the world, just like the US. I am certainly no war expert but I am also aware that experts get it wrong most of the time. Throughout history, very few people have forecast major wars or conflicts, just like no expert ever forecasts a financial crisis. But I do understand risk and it is absolutely clear to me that the risk is greater than ever for a major conflict. Let us hope that this risk does not materialize into a major nuclear war since that could be the end of life on earth for many people. It was clear to me after the US election that Trump was never going to live up to all his promises to make America great again. He took over the country at the end of a 36-year era of continuous stock and bond market rally fueled by the biggest credit expansion in US history. This would have been an impossible situation for anyone and it seems that Trump, unsurprisingly, has already failed at the first hurdle. So after under just 90 days, he is already a lame duck president. This is why he has turned to war, which is the last desperate attempt of a leader who fails on the home front in a bankrupt nation. To prepare against war is extremely difficult for most people. Very few have the financial means or the inclination to leave their country for some remote region or island. So let’s hope that the war drums will go quiet. Instead, many more people can prepare for financial Armageddon which is guaranteed to come in the next few years. Very few investors understand the meaning of wealth preservation. For most people, “the stock market always goes up.” They are of course right since with a few major exceptions, stock markets worldwide have appreciated for over 100 years. The same thing is true regarding the property markets. ‘Property prices always go up.’ This is why it has been so easy to grow generational wealth for the last century. What few investors understand is that this massive asset price inflation is a function of credit growth and money printing. Even fewer investors understand that this period is now coming to an end. No trees grow to Heaven, even though it seems that this trend will go on for ever. In coming years, we will not only see a credit and asset collapse, but also a wealth destruction of devastating proportions. But since 0.1% of the richest own the same as the bottom 90%, only a few will experience losing most of their wealth. But for the masses it will still be devastating because many will lose their jobs, houses and pensions. The social security safety nets will disappear since governments will be bankrupt with massive debt, interest expenses, and entitlements, coupled with very little tax revenue. 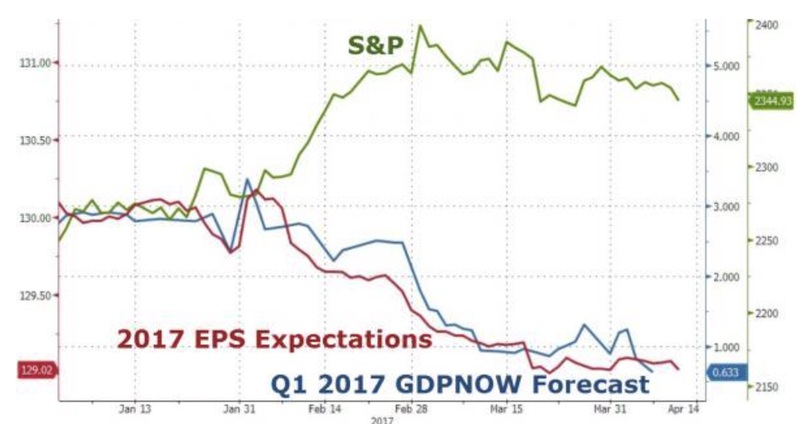 So in coming years, stocks, bonds and property will not represent wealth preservation assets but instead wealth destruction assets. This is something that very few people will realize until it is too late. A house has been an ATM for the last few decades with people borrowing against it to spend on holidays or cars, or just to live. In coming years, a house will not be an asset but a liability. For people who have a mortgage loan, it will be impossible to keep up with interest payments. In addition, most homeowners will not be able to afford property taxes, maintenance, electricity, heating etc. It will be the same with investment properties. Tenants will leave or stop paying rent and the buildings will be impossible to sell. 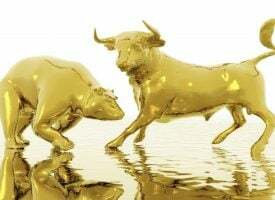 With regards to stocks, I have not changed my mind that against gold they will decline 90-95% in the next 5 years or so. One exception will be precious metal stocks. But even there investors must worry about the custodial risk. 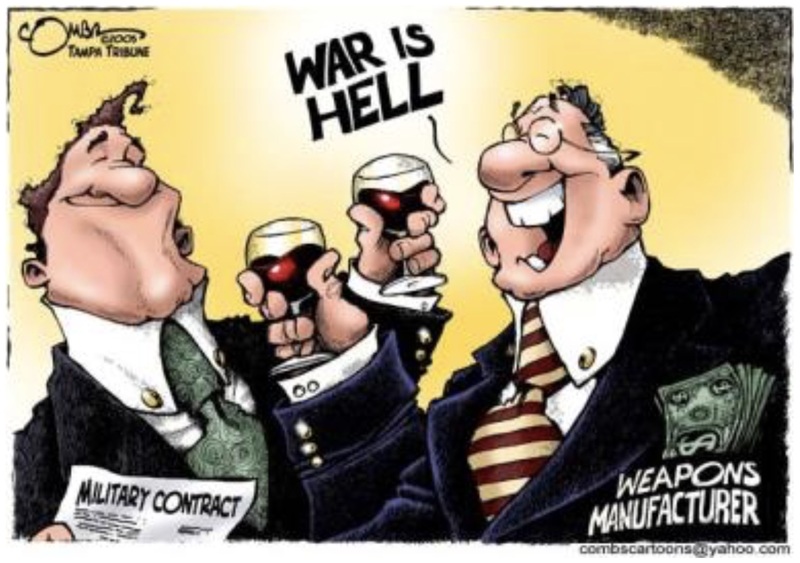 Another sector which is benefitting is the weapons industry. 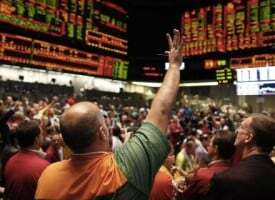 Investment advisors today recommend bonds as wealth protection assets. I cannot understand how anyone can invest one penny in a bond. Governments are bankrupt and will never repay their debts. They might attempt to repay them with worthless printed paper money or they will declare a 100-year moratorium. Same with corporate bonds. Corporations will not have sufficient earnings power to even pay the interest. 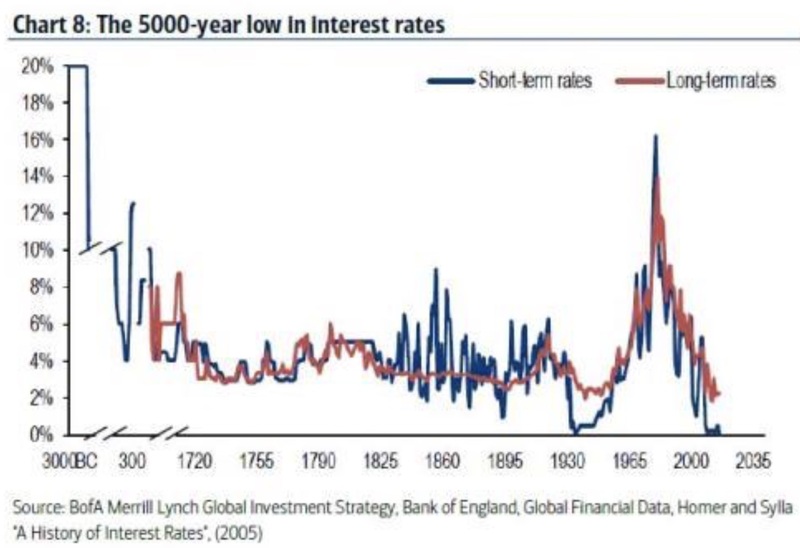 The other factor which will make bonds worthless is that rates will go from a 5,000-year low to levels in double figures or to infinity as bonds become worthless. Agricultural land in a safe jurisdiction and a safe area that you can protect will be a good investment. And this brings us to gold and silver. No other wealth preservation asset has these characteristics. Certainly not bitcoin and not even diamonds. Gold and silver can and should be kept outside your country of residence. This means you can flee to it if necessary. This certainly is not the case with a property for example. All currencies will soon start the next phase of downward acceleration in their race to the bottom. The dollar is likely to be the next currency to fall. 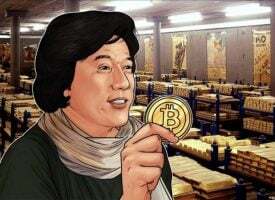 As currencies decline, governments will introduce exchange controls and it will be impossible to transfer money, gold, or other assets outside of your country. That is why it is imperative to own gold and silver outside the country you live, in private vaults and in safe jurisdictions. 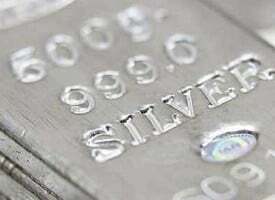 Many people ask what percentage of their assets should be held in gold and silver. This clearly depends on the size of their assets. My personal view is that you should hold sufficient metals to last for many years if other assets or income disappear. So this could be 10% if you are very wealthy or it could be over 50%. Personally I consider 25% to be a minimum, but since I believe there is no better form of wealth preservation, I would be quite comfortable with a much higher percentage. 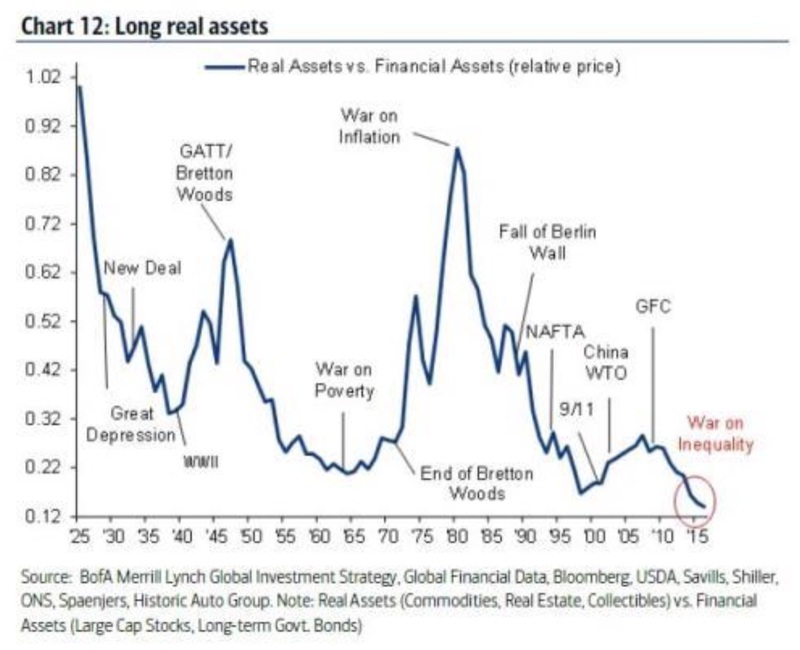 Real assets are at historical low against financial assets. Since the graph below includes real estate, which is a bubble asset, remaining real assets such as commodities (including gold and silver) are even more oversold. 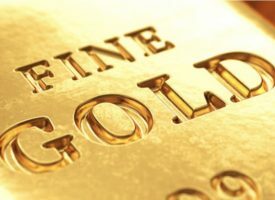 In conclusion, it is extremely important that people understand that investors still have a unique opportunity to acquire physical gold and silver at prices which will not be seen for a very, very long time, if ever.” ***KWN has just released the remarkable audio interview with Michael Belkin, the man who counsels the biggest money on the planet, and you can listen to it by CLICKING HERE OR ON THE IMAGE BELOW. ***ALSO JUST RELEASED: Here Is The Really Big Shocker With The World Now On The Edge Of Destruction CLICK HERE.